Katekyo Hitman Reborn! Katekyo Hitman Reborn! The above info came from Rachel Murphy, and was edited by yours truly (contact me). The image came from photobucket. Xanxus is the current leader of the group Varia, and the adopted son of Vongola IX. He was born into poverty with his mother as his only family, but Xanxus was unaware of his mother's mental illness. At the age of nine, Xanxus' mother discovered his Dying Will Flame and began to make a delusion that Xanxus was the child of some love affair between her and the Vongola IX. She then decided to bring Xanxus to the Vongola IX so that he could be the soul heir to Vongola X. The IX had never seen this woman nor, her son in his life but excepted Xanxus as his adopted son due to the power of the Dying Will Flame and not wanting to destroy the hope in Xanxus' eyes as a young child. Xanxus was raised to be very strong and eventually became a candidate of Vongola X. But later he found out that he was only an adopted son of the IX, therefore making him illegitimate to being the soul heir to the title of Vongola X. Xanxus was later revealed to be the case of the Cradle incident and was frozen for eight years. In the anime he appears in Episode 40, and is the opponent of Tsuna during the Ring Battle. 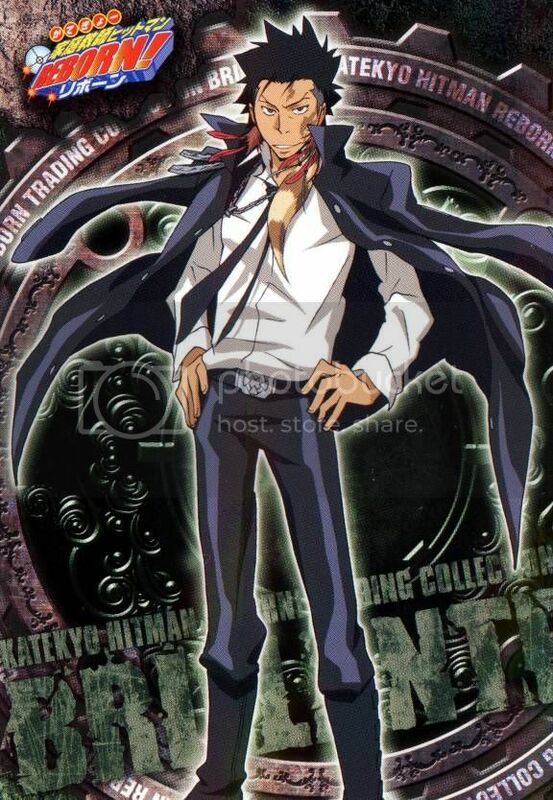 He fights Tsuna for the Vongola Sky Ring and also the title of Vongola X. Tsuna wins the battle by using Vongola I's special technique, Dying Will Zero Point Breakthrough and freezes Xanxus. Xanxus is then thawed out by fellow Varia members: Belphegor and Viper, who obtain the Sky Ring off Tsuna and give it to Xanxus. Xanxus places the Vongola Sky Ring on and is rejected by it due to not being blood related to the Vongola. This makes Tsuna the real Vongola X. In the future arc, Xanxus is still against Tsuna but fights for the Vongola family believing that united they stand tall. His box weapon is a male liger known as Bester who is a Storm/Sky mix. The above description came from Rachel Murphy, and was edited by yours truly (contact me).